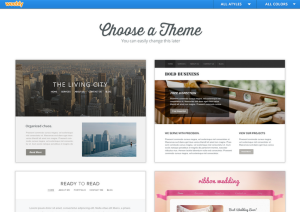 Weebly, the service that lets you, your grandma and anyone else build a website for free, is growing fast. The startup launched out of Y Combinator in 2007 and today hosts over 15 million sites, which together see more than 100 million unique visitors each month. But they also expect this growth to continue, as Weebly co-founder David Rusenko tells us that his company has signed a lease on 36,000-square feet of a historic warehouse in SOMA in downtown San Francisco, which will become its new headquarters. Not only that, but as the anchor tenant of this new space, the company has the option to expand to 50,000-square-feet, which Rusenko says the company plans to do. As a comparison, Weebly’s new office will be nearly five-times the size of its current space in Pac Heights, which is a puny 11,000-square-feet. Besides the fact that the warehouse that will play home to their new headquarters is apparently the “last brick-and-timber warehouse in SOMA to be converted to a more modern setup” — and is where many of the grapes would be shipped from Napa to make wine in San Francisco, Rusenko says — the reason for the move is that Weebly plans to hire hundreds of new employees and it’s going to need somewhere to put them. Weebly plans to move into the new space sometime in early 2014 and over the next couple of years plans to grow to up to 600 employees globally — most of whom will be located in San Francisco, the co-founder tells us. When Weebly moved into their current offices in 2011, the company was just 19 employees, a team which today has grown to 80. Yes, that means beginning soon Weebly is going to begin a long-term push that will add over 500 people to its staff, many of whom will be engineers and designers. When asked how Weebly is making this possible, the co-founder says that the company has been profitable from “very early on” and is backed by VCs like Sequoia, so that help build confidence among potential recruits that the company is actually going to be around in a year. It sounds a lot like Dropbox’s big move and growth spurt in 2011, doesn’t it? But how does it plan to pay for all that? Although the company won’t share specifics on its financial performance or how much it raised from Sequoia (and only lists $650K), Rusenko says that it’s been profitable from day one and will be profitable even with its 50,000-square-foot lease. Weebly may have to raise more money to do so, but without giving too much away, the founder points to “stored value” as part of the explanation. Although Weebly starts off free and while less than 50 percent of the revenue from a cohort of users will be collected in the first year (from users upgrading to premium services), over time, these users consistently upgrade enough that it has been able to make up for the churn. As it continues to grow, it’s been able to keep customer attrition low, while retaining (and growing) its conversion rate through quality premium products (like eCommerce functionality). And, as Rusenko looks at the future, he thinks that there’s opportunity for Weebly to maintain its growht rate based on the growth of its market. As more and more people come online and have serious computing power in their pockets, having your own real estate on the Web (or in an app store) is imperative, especially for businesses. However, a huge number of small businesses still don’t have much of an online presence — less than 40 percent of restaurants have their menus online, for example. Thus, the addressable market for startups and software that allow you, your grandma and anyone else to build a website quickly and easily is still huge. But Weebly isn’t the only startup in this space to benefit. 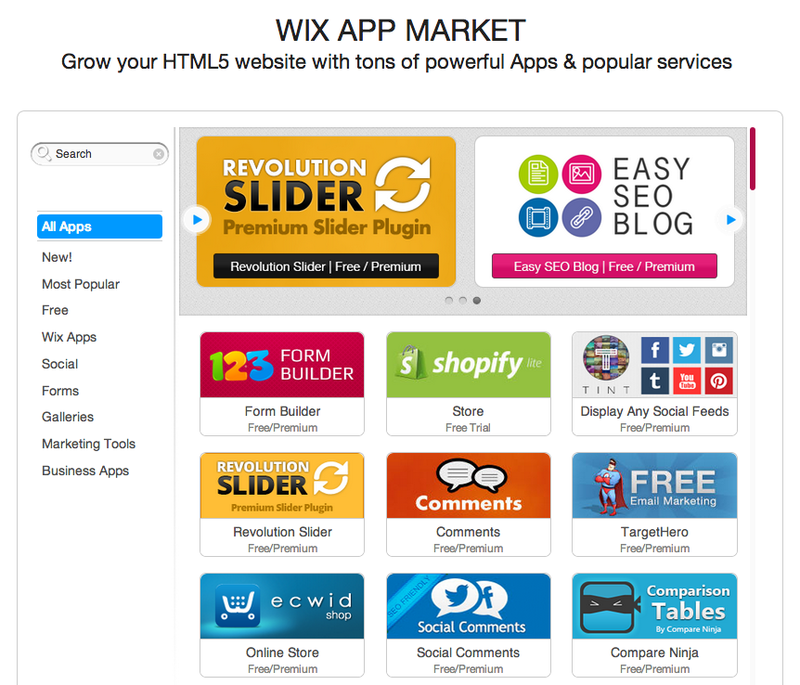 Wix, like its competitor, has been expanding quickly. Today, the company says, it’s at 37 million users and is seeing more than 1.3 million new users building sites every month. It now employs nearly 400 people in Tel Aviv, San Francisco an New York and has raised about $60 million from its investors. Its users have created over 23 million websites (as of December) and since Wix began ramping up its push on mobile, co-founder Avishai Abrahami said that it has become “largest mobile site builder in existence,” with users creating mobile sites at a rate of 50K sites/month. Again, while the company declines to share specifics, the company believes its growth rate is steady enough that it seems ready to take the next step in its development. Wix submitted a “draft registration statement” to the SEC in June, which now has it headed squarely in the direction of the public markets. And you’ll notice that Wix appears to be hiring in all four of its locations, so the growth appears to be continuing even as it prepares for its quiet period. As the tools and standards people use to build sites and apps on the Web and mobile change, these players have to change with them. This week Wix took a step toward that goal, with the release of a sort of app market for business add-ons, which offer small businesses a suite of tools they can add to their sites to help grow their business. Just as the company offers a marketplace for widgets that developers can build and sell to customers who are looking for specific tools or functionality for the front-end, this release intends to help businesses beef up the back-end.